Looks cool ... and, uh, vaguely remniscient of a motorcycle from Akira don't you think? It's not cool, it's cold. There is no chance we'll ever see that here is it? Please tell us newbies more about Akira. :? Are you involved in your V is for Voltage Community? :? vaguely remniscient of a motorcycle from Akira don't you think? Japan?s motorcycle venture Axle unveils the prototype of its new electric-powered motorcycle, the ?EV-X7,? at the annual Tokyo Motorcycle Show yesterday. The EV-X7 weighs 200kg and is equipped with a newly-developed high-efficiency motor driving the rear wheel. The deal with the AKIRA cycle is that it?s designed with the motor in inside the rear wheel. Axle is planning to sell this electro-scooter with the new SUMO in-wheel ?SUMO? motor this year. * Magnetic motor, call Sumo, is a hybrid between a electromagnet and a permanent magnet. * Runs on neither petrol nor diesel. * Motor housed inside the bike's rear wheel. * The manufacturers say the motor is seven times more cost efficient than scooters running on petrol. * Range: as much as 180 kilometers on one charge. * Battery can be charged at home. * Full charge takes just a little over six hours. 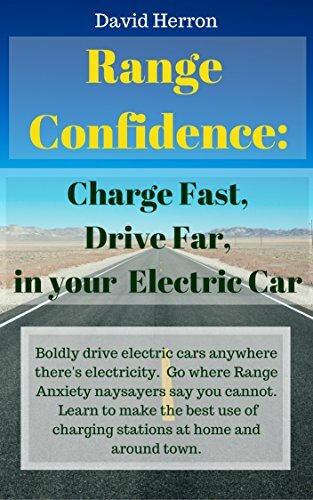 * The vehicle can travel up to speeds of 150 kilometers per hour. * Daisuke Ito, a professional racer who test rode the EV-X7 prototype, said it could potentially replace machines we now see in motor races. I only know a little about it .. it's a Manga (Japanese comic book) & anime (animated movie) dealing with some kind of street racer cult. I have one thought on the vehicle is that you're sitting very very low to the ground. I'm sure that's great for power efficiency, due to lesser drag. It's less of a drag, maaaan. Anyway sitting low to the ground means you're less visible and to me visibility means safety and invisibility means a driver of a big truck is more likely to miss seeing you and run you over. The EV-X7 has been floating around almost as long as the eCycle so I would not be waiting with baited breath. :? That video is from early 2006 and the photos are from the 2005 tokyo motorcycle show. Now the SUMO or (SUper MOtor) motor is interesting, it sort of looks like a large universal motor (except without the AC). It was described on one of the japanese sites. 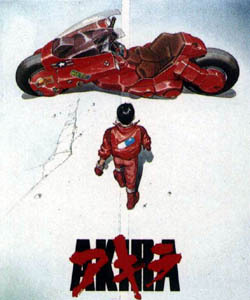 Here is a link to a site dedicated to Akira and the bike. Here is a replica of Kaneda's bike from Akira. And a CAD drawing of it. Yeah I saw some of that, found more information about the cartoon than the vehicle. No Pink Floyd for me, I'm a Old Skool. Thanks for the links, did I understand the specs and price correctly? In 2006 it's much cheaper than the over priced Vectrix Electric Maxi-Scooter at $2100 USD vs $11,000 for the Vectrix, and better specs of Range 112 miles, Speed 93 MPH. FWIW, it seems to be about the same height as my E Scooter, just watch the rider sit on it, and the clearance under it. What ever happen to good old American ingenuity, when we were suppose to lead the world in everything. Seems we are still holding our ankles for BIG OIL. We really need to begin forming alliances with others, and make the public aware of the many smoke screens being thrown up in front of them. This could quickly get off topic, so I'll cut if off here, and open it again latter in the General Area.